Home Hematology Can you identify these three leukocytes? 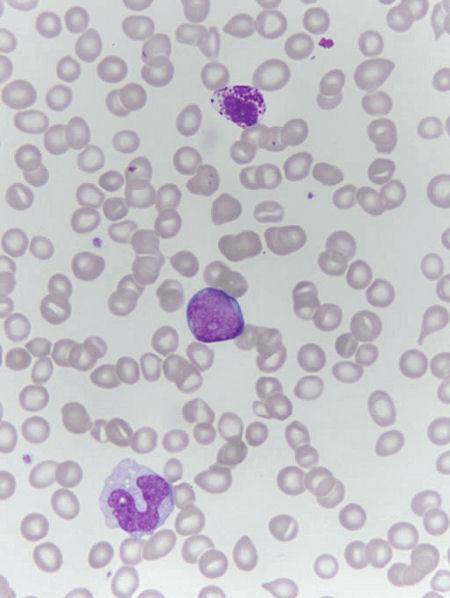 Can you identify these three leukocytes? It is morphologically impossible to say what kind of blast it is.